More focus now on how to make a loop out of the trip. It appears Stockholm is a very interesting place and I’m trying to carve an extra day out of the schedule to spend there and also allow for going to Aland, Finland. We’re having trouble calculating sane driving times to get from Norway to Sweden with the intent on going to Northern Norway (or at least as north as Trondheim or Alesund). An extra challenge will be to consider in Jutland, Denmark. 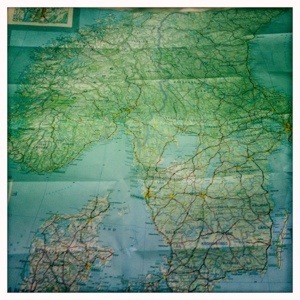 By far the biggest connundrum is what to with the car between Oslo, Bergen and Flam. Oh and did I mention we added London to the mix? It appears the trip might have to be a few days longer.